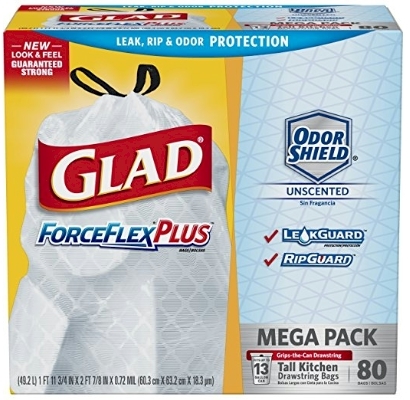 This 80-count box of Glad ForceFlexPlus with Odorshield Tall Kitchen Drawstring Unscented Trash Bags is $8.02 shipped (10 cents per bag!) on Amazon when you stack a high-value online coupon with Subscribe & Save discounts. Remember that you don't need to be a member of Amazon Prime to get free shipping on ANY Amazon Subscribe & Save deal..shipping is free for anyone.